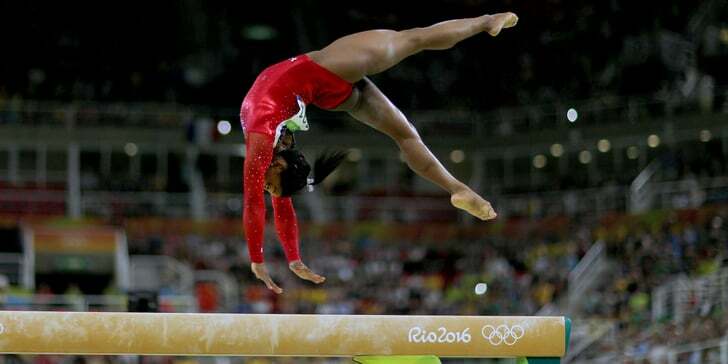 As a sports performance consultant I am keenly aware of the power the mind has on gymnastics performance. I am also aware that physical endurance is vital to competing at your best. When a gymnast understands the connection between mind and body and integrates this concept into training, scores will increase significantly. Where your mind leads the body follows. What you see in your mind and think about will show up in the way your body performs on the floor. There are a few key things to consider leading into a competition that will help you to show up for your meet with a clear, fresh mind, and plenty of energy to perform at your best. By integrating these pre meet rituals you can enhance energy and power, and compete with a clear, fresh mind. Get plenty of rest the night before the meet. Many gymnasts have a habit of staying up late. I think this starts early when young gymnast get home from the gym late at night and then eat dinner and stay up late working on homework. They become conditioned to staying up late, and eating late. Get to bed early and give your mind and body time to rest. Do not spend a lot of time on brain intensive activities. I wont win over many young gymnasts with this one but stay away from the television, the computer, and video games as much as possible the night before a meet. This doesnt mean stay away completely, but be reasonable with the amount of time you spend in these activities. These are activities that require a tremendous amount of energy from the brain. Spending too much time on these types of activities will create brain fatigue and will affect performance. Dont eat after 7:00 p.m. the night before a meet. Digesting food requires more energy than any other bodily function. If you eat late, your body is burning energy and working all night long to digest that meal. Eat early if possible. Your body will have the meal digested before you go to bed. Your body will have only one task at night, to recharge your energy system. You will wake up feeling refreshed and ready to compete. Eat low stress foods at night. Low stress foods are foods that are easily digested. Chicken, fish, cooked vegetables, and light pastas are examples of low stress foods. Red meat, pork, and heavy fat dishes are high stress foods. High stress foods take more energy to digest causing your body to work hard at night to digest the meal. Give yourself plenty of time in the morning to prepare for the meet. One of the most stressful things a gymnast can do is rush to the gym late. This can throw off the whole day and lead to tremendous increases in stress and pressure. Get up early enough to allow for a slow, comfortable pace the morning of the meet. Try to arrive a half hour before your warm up even begins. This ease in pace will carry over into the days competition. Eat a balanced breakfast the morning of the meet. This breakfast should include fruit, and some source of protein like a smoothie, eggs or whole grain toast with peanut butter. This will give the body plenty of fuel to break down over time and will not cause a spike in blood sugars. I dont recommend eating a high sugar breakfast in the morning. I am amazed at how many gymnasts dont eat during the competition. Many gymnasts have a fear of feeling heavy the day of competition so they dont eat during a meet. If you eat breakfast at 7:00 a.m., leave the house and arrive at the gym early for a 9:00 a.m. warm up you wont eat again until lunch time. That is too long to go without putting more fuel in the body. Towards the end of the meet your energy level and brain power will begin to drop off. Eat small bites of energy bars, bananas, apples or other easy to digest energy sources during the meet and sip low sugar energy drinks. Your energy will stay consistent and your mind will stay focused on your routines during the entire meet.